Front Row Media International Inc., in cooperation with eXtribe and SIM Foundation, holds 10th Subic International Marathon (SIM) on November 21-22, 2015 at Remy Field, Subic Bay Freeport Zone. 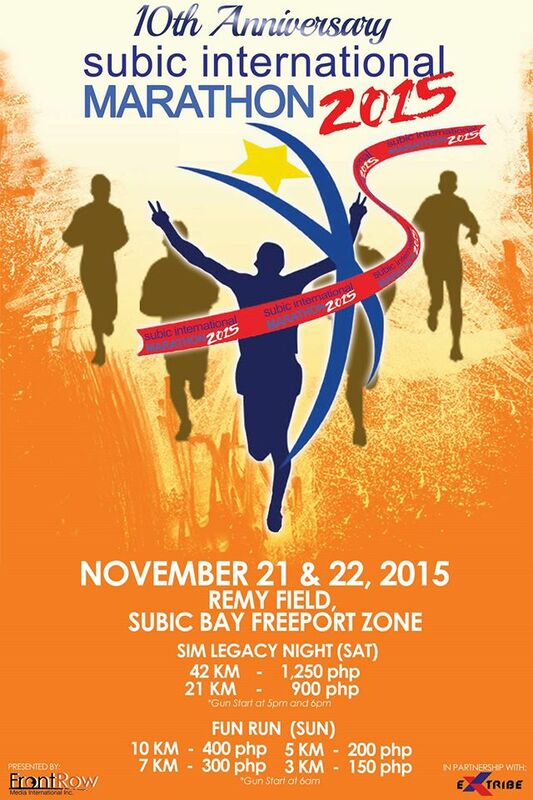 This marathon event features 42k and 21k distances within the boundaries of the Subic Bay Freeport Complex. It starts on November 21 (Saturday). For November 22 (Sunday), there will be 3k, 5k, 7k and 10k categories. Registration will open in August 2015. The First Subic Marathon was in 2005. 2005 edition had 42km as the only distance. In 2008, Gen. Tucay’s Retirement year, Subic Marathon was dubbed Subic Marathon Legacy Run: A Night Run, non-competitive event where all finishers are winners. The original Subic Marathon served as a graduation run meant to reform some Policemen. The current route was measured and certified in 2007 year by AIMS (Association of International Marathons and Distance Races). The 3k and 5k registration fees are 100% donated to beneficiaries. Dilaab Foundation has made a difference in creating programs for street children. BLD Subic/Olongapo directly uplifts community life for the SBMA/Olongapo area by organizing community building seminars. Bless Our Cops Movement, Inc. is a PNP supported program. This NGO facilitates the rehabilitation of policemen who have lost their way through Values Formation, Bootcamp Retreat, Community Immersions and Physical Reconditioning. 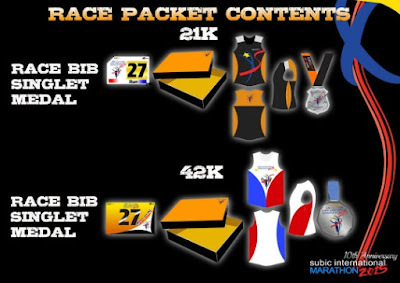 From 2005 to 2014, Subic International Marathon has been participated by more than 20,000 people – including the intermediate distances 3k, 5k, 10k and 21k. SIM had its largest contingent in 2009 with about 10,000 runners participating. Since the introduction of RFID Chip Timing, the fastest 42k finish time for Male was set in 2011 with a time of 2 hours 23 minutes and 57 seconds set in 2011. The fastest 42k finish time for Female was set in 2014 with a time of 3 hours 23 minutes and 32 seconds.